Servant leadership is the idea that telling people what to do isn’t the most effective way of getting things done. Instead, humbly supporting people, inspiring them, and coaching them is much more effective. Servant leadership has gained attention in the U.S. for its positive impact on team performance and employee engagement. Whether you’re a manager or a rank-and-file employee, servant leadership can help you influence people and get things done. In a sense, servant leadership skills are highly refined interpersonal skills. In this presentation, management consultant and communication specialist Rochelle Kopp will introduce the key facets of servant leadership. 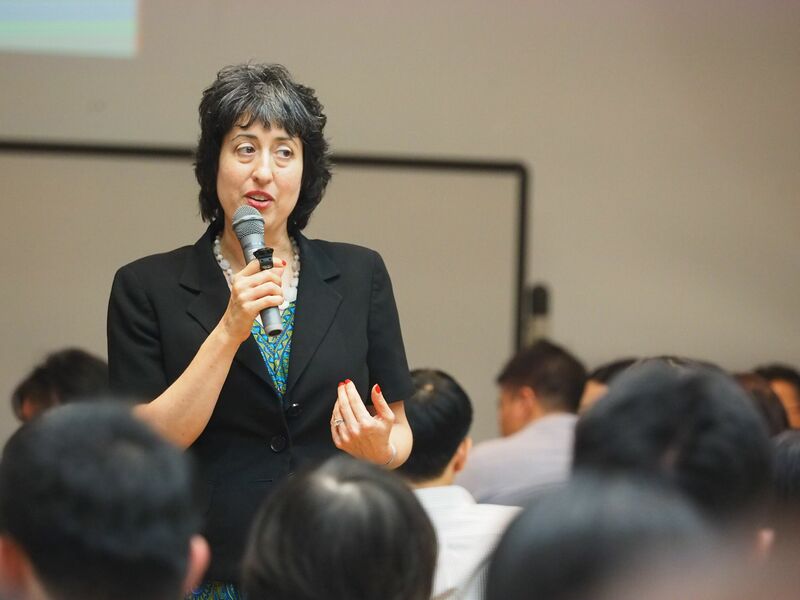 Rochelle Kopp is founder and Managing Principal of Japan Intercultural Consulting, an international training and consulting firm focused on Japanese business. She specializes in human resource management, cross-cultural communication, and organization development. Rochelle works frequently with the global operations of Japanese firms, and with foreign firms doing business in Japan. She’s taken up servant leadership as her theme for 2018, because she believes it is the antidote to many of the issues facing Japanese companies today. Rochelle is author of over 30 books, including How Japanese Companies and Adopt the Silicon Valley Way, Creating Motivated Employees in Japan, and Sophisticated English. She writes columns for The Asahi Shimbun, Nikkei Business Daily, and the Newsweek Japan website. *Sign Up Form Sign-up Now! Join us for an interactive workshop with Rochelle Kopp, Managing Principal, Japan Intercultural Consulting. The session will include group discussions and interactive exercises to help you gain deeper insights and build your servant leadership skills. You’ll leave this session with some new ideas to enhance your effectiveness, no matter what your position in the company.